The budget released on Monday changed little in the way of big numbers to tackle the national debt, but the Obama administration made a few small steps in unified approaches to national security budgeting that, if continued and expanded in future budgets, could greatly improve the way we resource national security and the government. Most decisions about cuts and increases are made on isolated programs. For example, the U.S. spends an overall amount for programs like the Human Rights and Democracy Fund, which provides resources to the National Endowment for Democracy, which builds democracy in Egypt. There is also the Middle East Partnership Initiative managed by State. This is a shot in the dark, not to mention it bumps up against other U.S. government players in the country — diplomats, troops, intelligence officers, and others. While the National Security Strategy might make a vague statement about U.S. support for human rights, the government often does not articulate strategy in a way that allows it to execute budgets with precision and that comes together in an integrated plan on the ground. Thus, the confusion and surprise when Egypt exploded in anti-Mubarak demonstrations. If we do not know what is going on even though we have a program for it, how can we possibly be spending our money well? 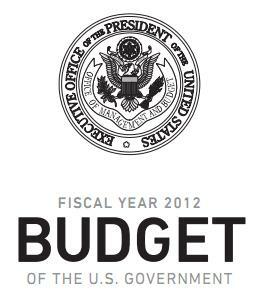 But this is how budgets come together, including this one, except a few areas, from which we will use three examples: the Overseas Contingency Operations (OCO) budget, the Global Security Contingency Fund, and the National Counterterrorism Center (NCTC). With OCO, the administration put cash for military, USAID, and State operations in Iraq and Afghanistan in one fund. The concern of the civilian agencies’ inability to provide their share of resources has been a perennial problem, and this is the right approach to solving it. However, the military still receives about $118 billion of the $126 billion. Also, this is more of a political strategy to ensure the civilian agencies get better funding, rather than a part of an integrated plan. As operations in Iraq and Afghanistan continue, the U.S. will need to ensure the OCO budget becomes better aligned with a strategy that will still be subject to change. And as civilian agencies take the lead in Iraq, they will need to take on a larger proportion of the budget. The Global Security Contingency Fund is the next step for the 1207 and 1210 accounts – funds that the Department of Defense can transfer to the State Department for reconstruction, security, and stabilization assistance to foreign countries. This new fund will be a pool of $50 million, and will require the Secretary of Defense and Secretary of State to make a joint decision in using these funds. It will also include authority to reprogram $450 million if needed. This fund comes during a State Department reorganization spurred by the Quadrennial Diplomacy and Development Review that changes the Coordinator for Stabilization and Reconstruction into the Bureau of Conflict and Stabilization Operations. The amount remains small relative to its potential effectiveness, and the planning and authorities to make it work are labyrinthine. However, the Global Security Contingency Fund is an important step in providing an integrated and flexible budget for conflict prevention — an economical ounce of prevention, rather than an expensive pound of cure. The budget also mentioned, “[t]he Administration will continue to integrated mission-based budgeting in the counterterrorism area… and will work with the NCTC, the IC, and relevant Departments, such as Defense, State, and Homeland Security, to direct resources in support of counterterrorism implementation objectives. The Administration will also introduce more outcome measures and program evaluations in this area to help improve program effectiveness.” This is much needed. With the expansion of the intelligence community after 9/11 that the Washington Post documented in its Top Secret America pieces, the government needs to instill discipline in resourcing counterterrorism and needs to ensure everything is aligned with a long-term counterterrorism strategy. However, much like the Director of National Intelligence, NCTC still faces many problems with authorities, resources, and its relationships with other departments and agencies. Regardless, mission-based budgeting will help bring focus to counterterrorism. These three examples are small steps in the budget, that if expanded in the next, could bring greater efficiency and effectiveness to the government. Secretary of State Hillary Clinton has declared she wants to have a unified national security budget. State Policy Planning Director Anne Marie-Slaughter has said the Administration will work toward this in the next two years. The seeds of that unified national security budget are in this one, with the integration of diplomacy, defense, and development in the OCO budget, the flexibility of the Global Security Contingency Fund, and the mission-focus of the National Counterterrorism Center. There are many opportunities to adopt these approaches to issues such as cybersecurity, counterproliferation, food security, energy security, global health, and space. And given the need to strengthen the foundations of our national power and prosperity, we can use these approaches for competitiveness, innovation, trade, and education. We can reduce spending with these new efficiencies, contributing significantly to lowering the national debt. We can transcend the extreme short-term incentives and political gridlock that allow our problems to fester and grow.